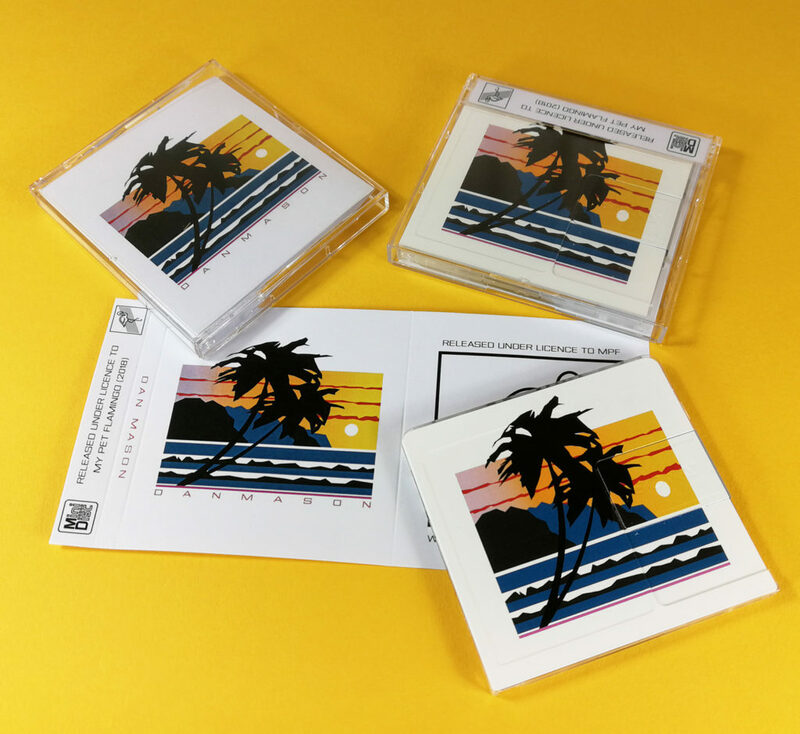 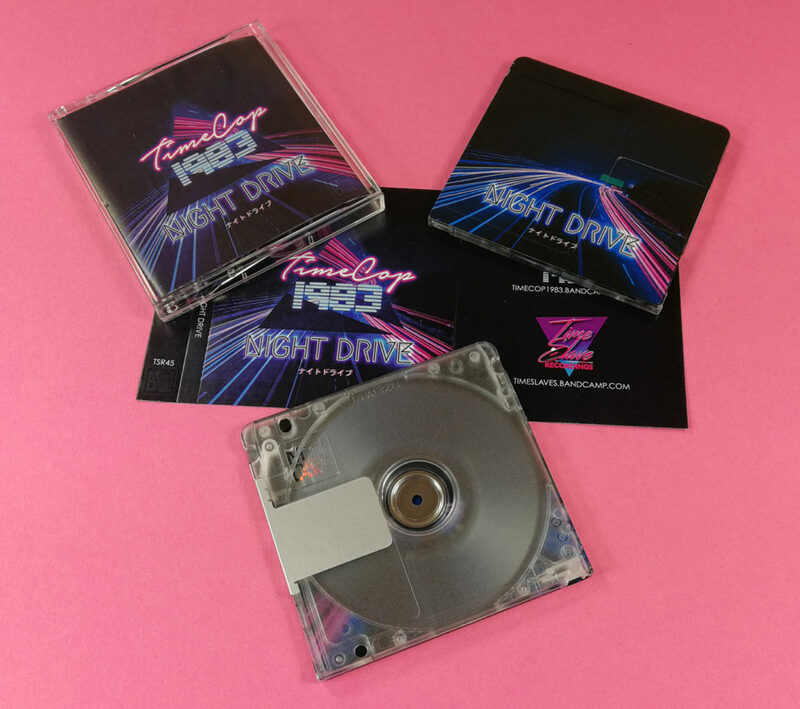 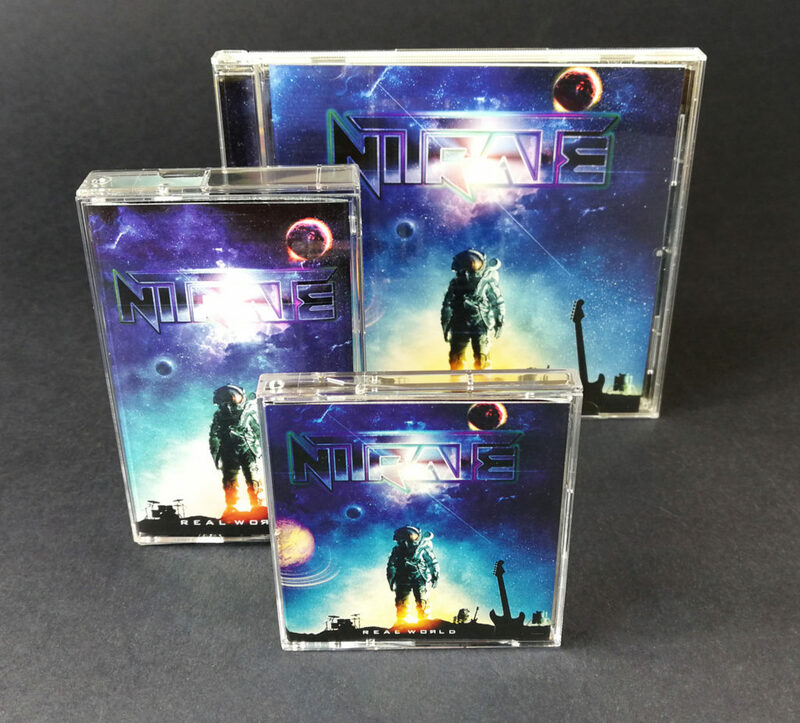 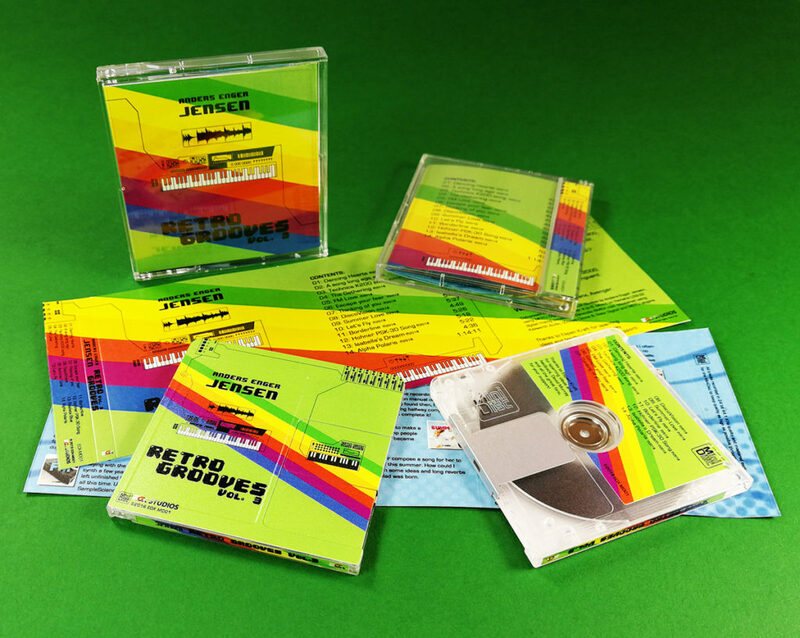 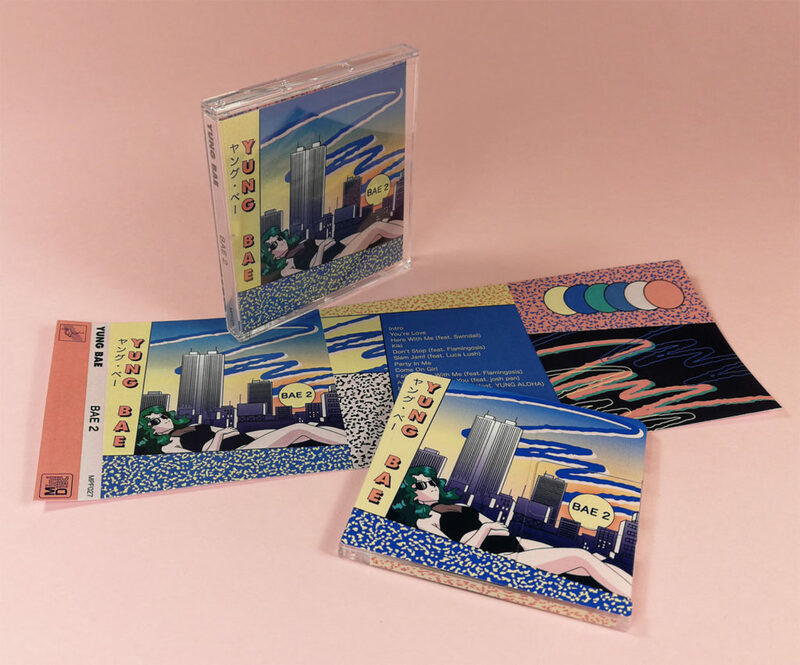 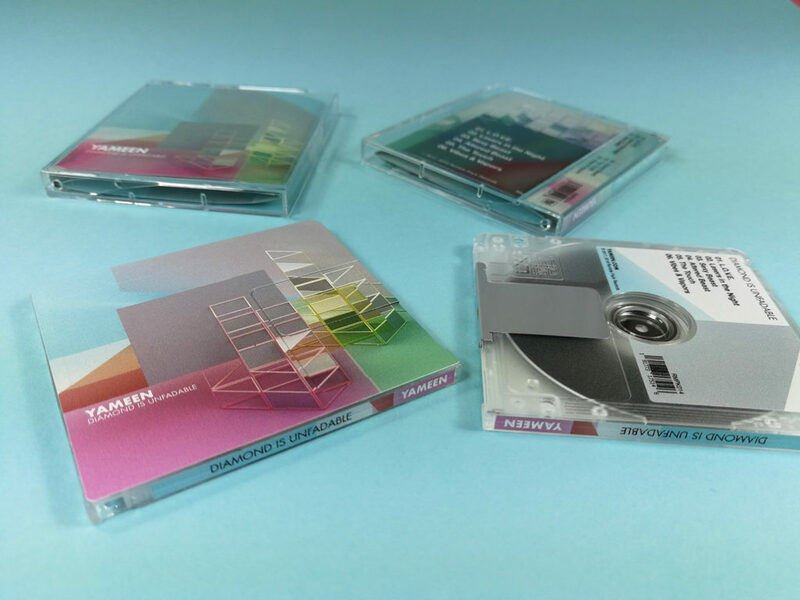 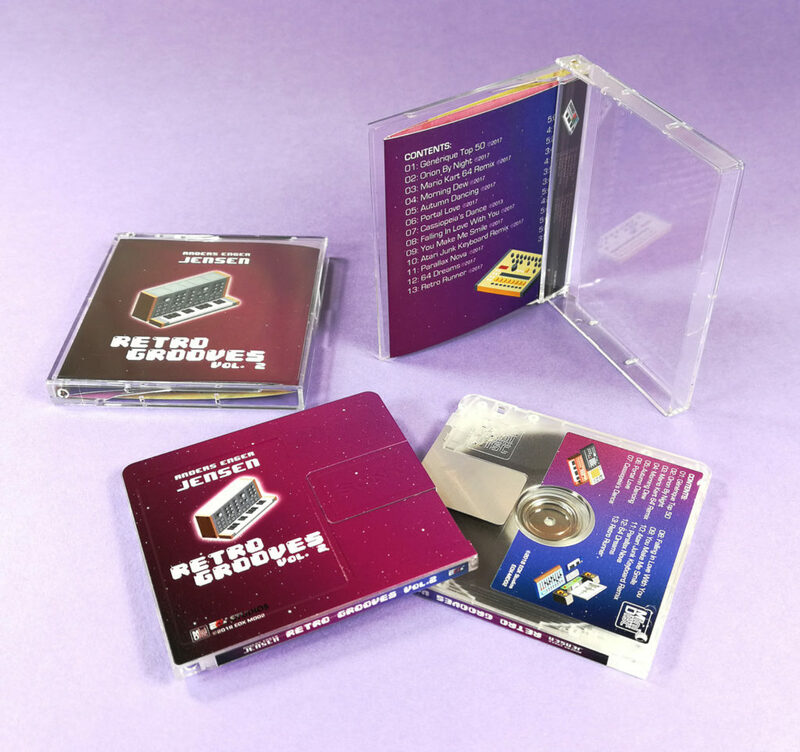 If you are after a short run of professionally produced MiniDiscs to go with your CD, vinyl or cassette tape release then we have just the service for you. 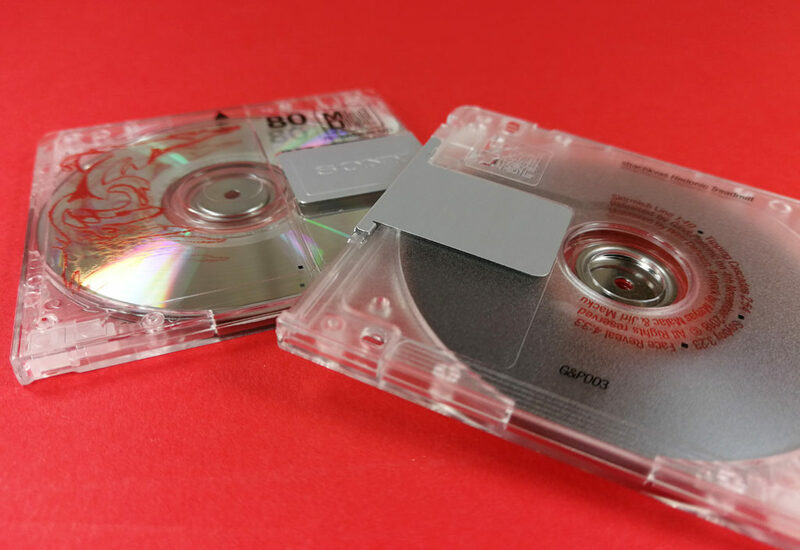 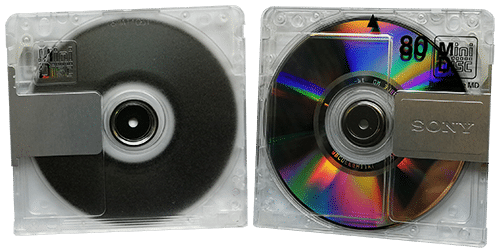 We record onto brand new Sony 80 minute blank MiniDiscs (80 minutes is the same play length as a standard CD), so your CD contents can be directly moved across onto matching MiniDiscs. 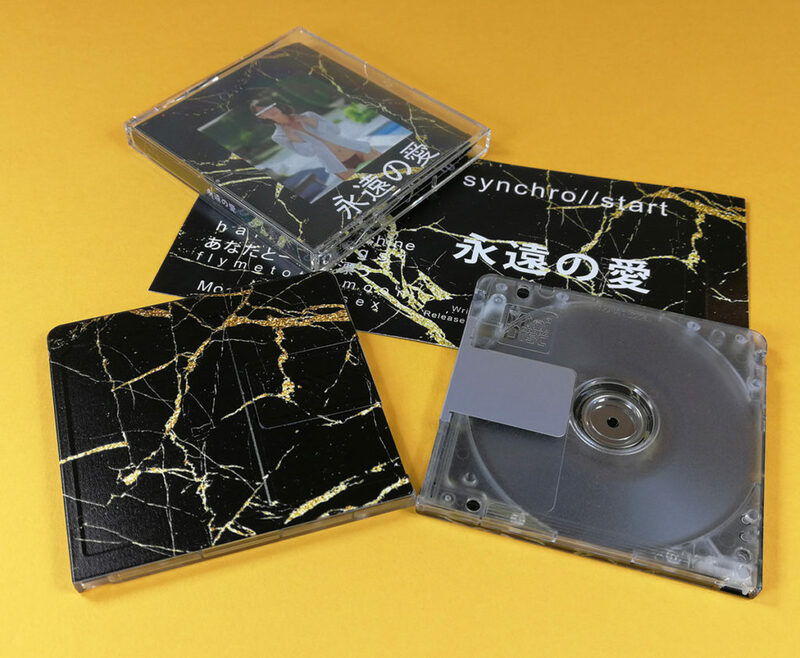 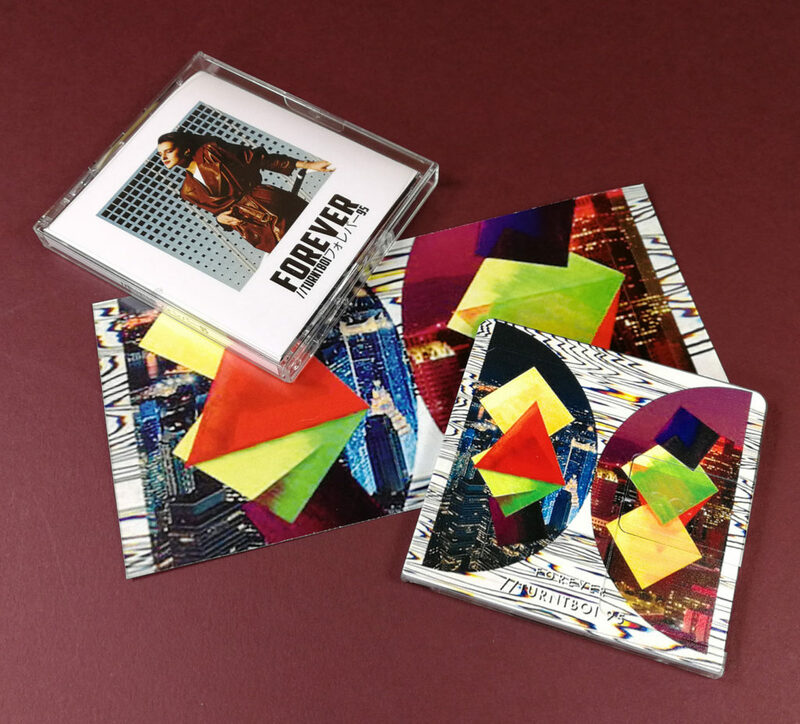 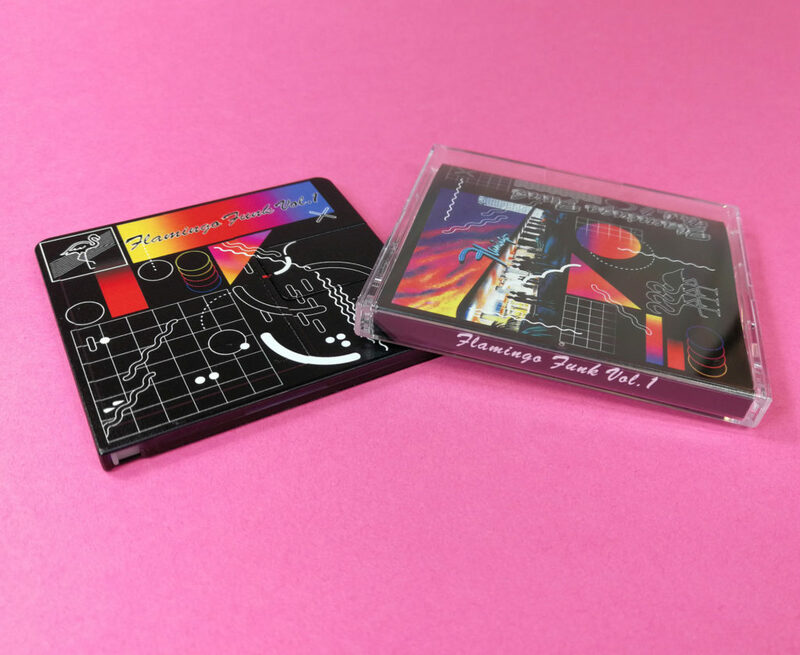 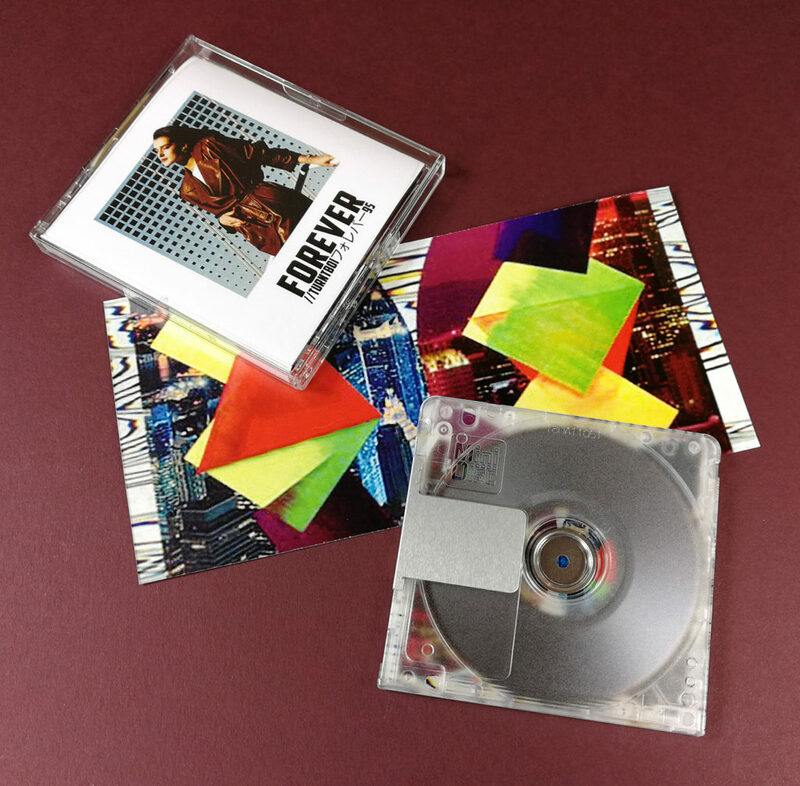 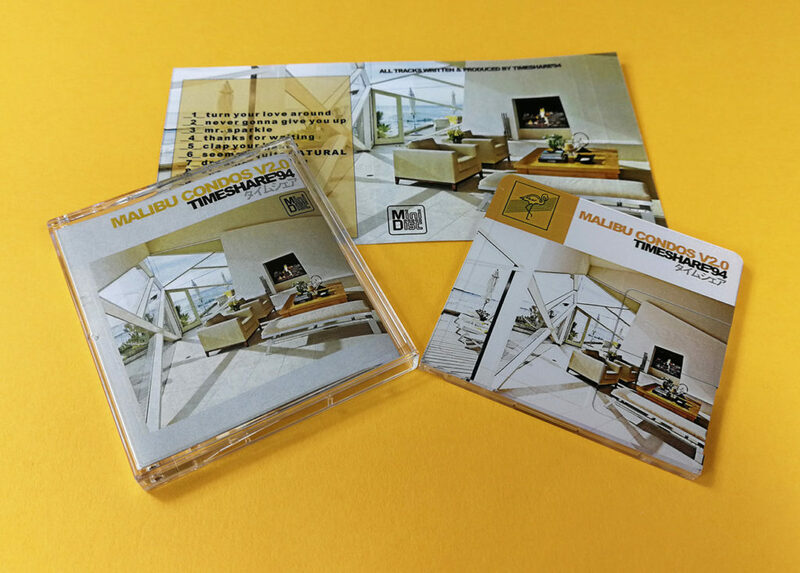 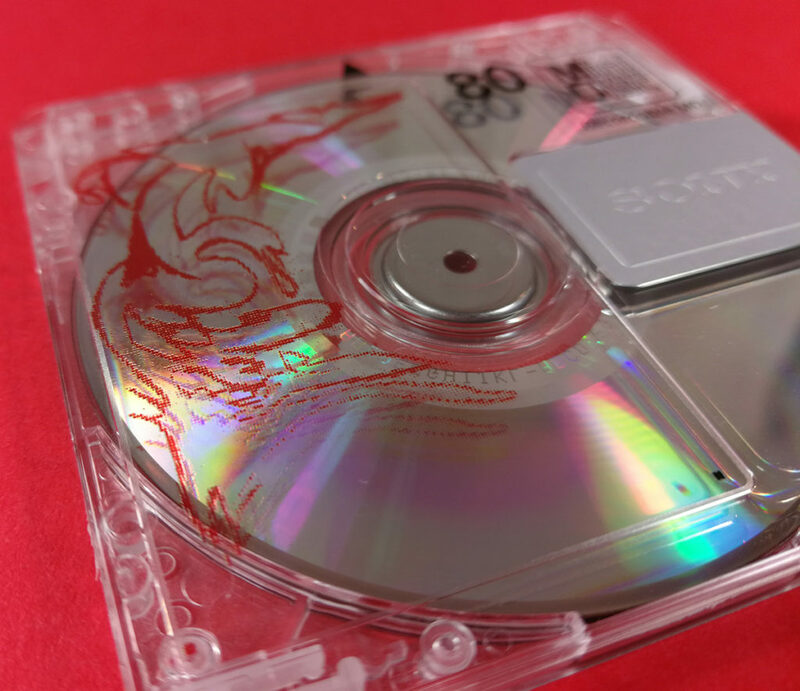 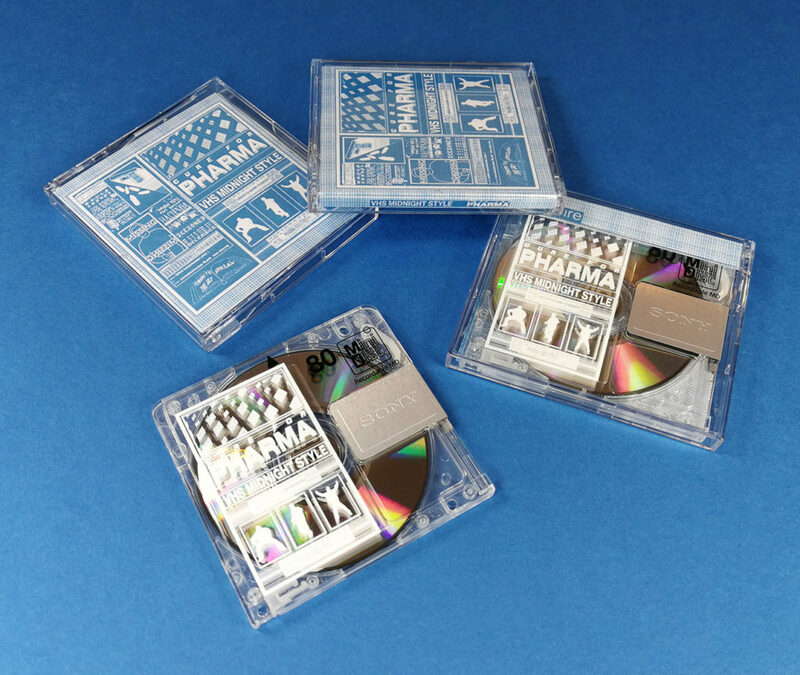 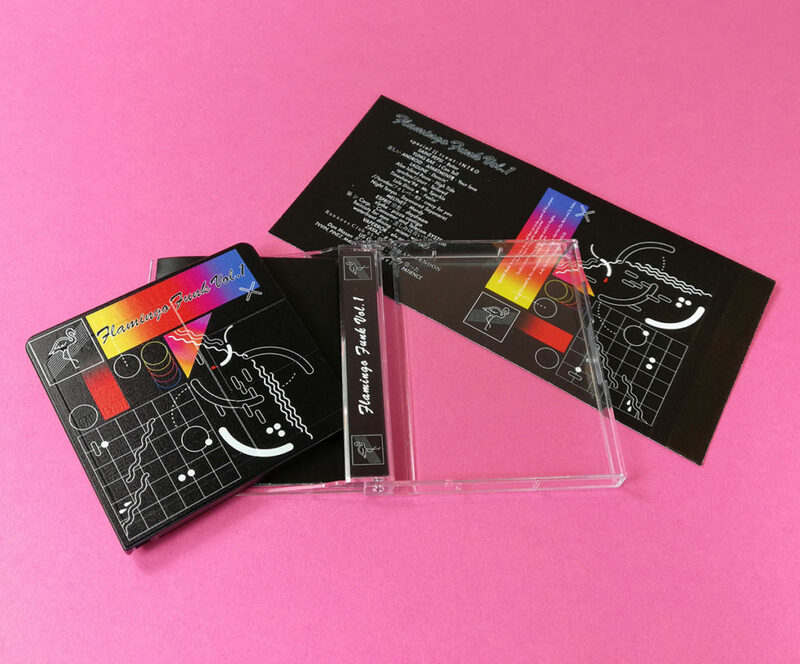 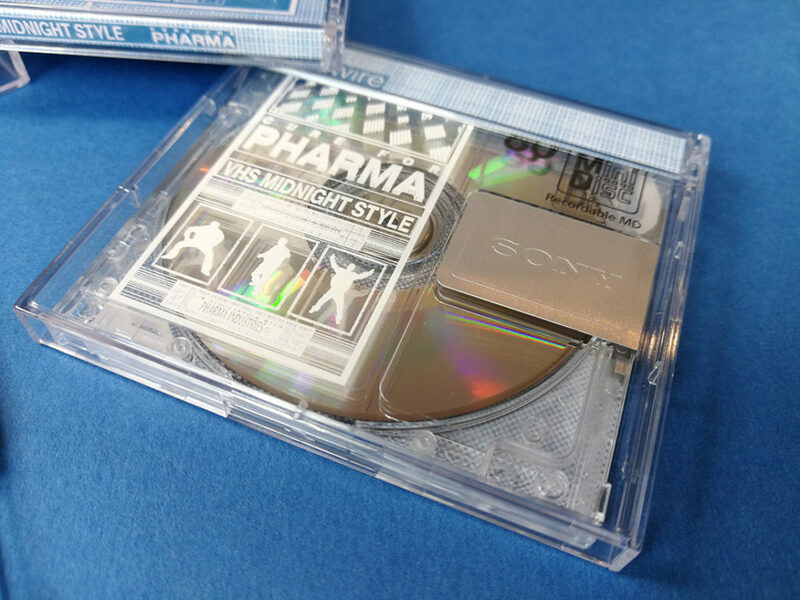 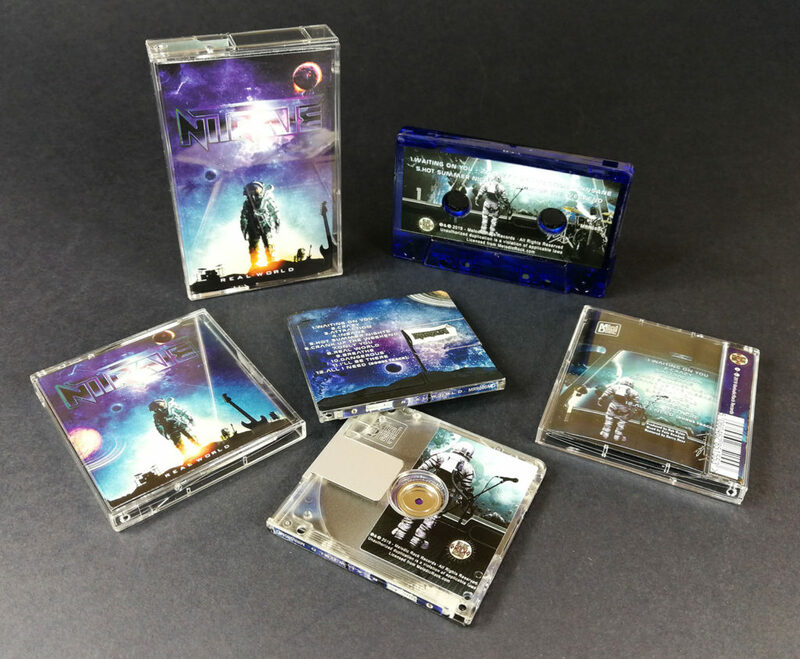 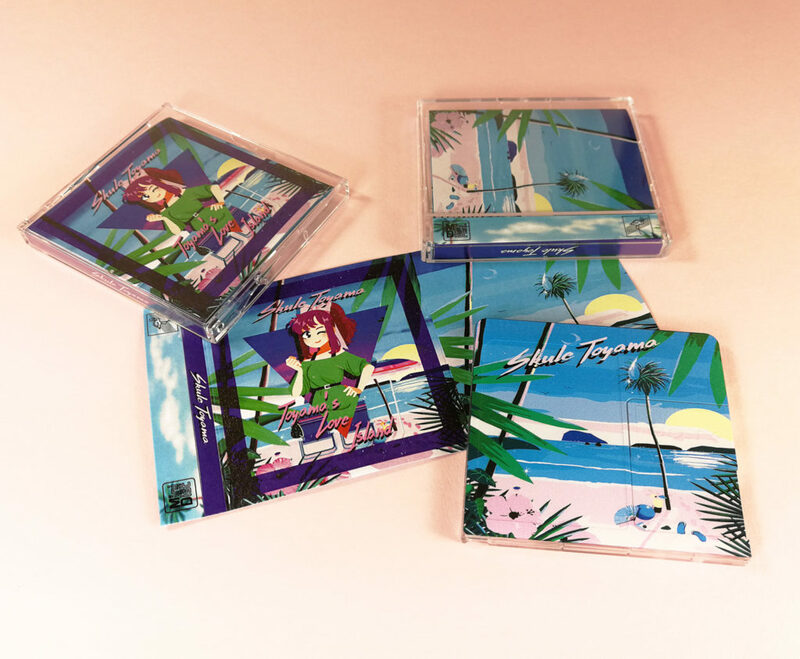 The old-style MiniDisc album cases are no longer produced, however we do have new custom clear MiniDisc jewel cases into which we can insert full colour printed double-sided J-cards that also include the spine text and can also include additional fold-out printed panels. 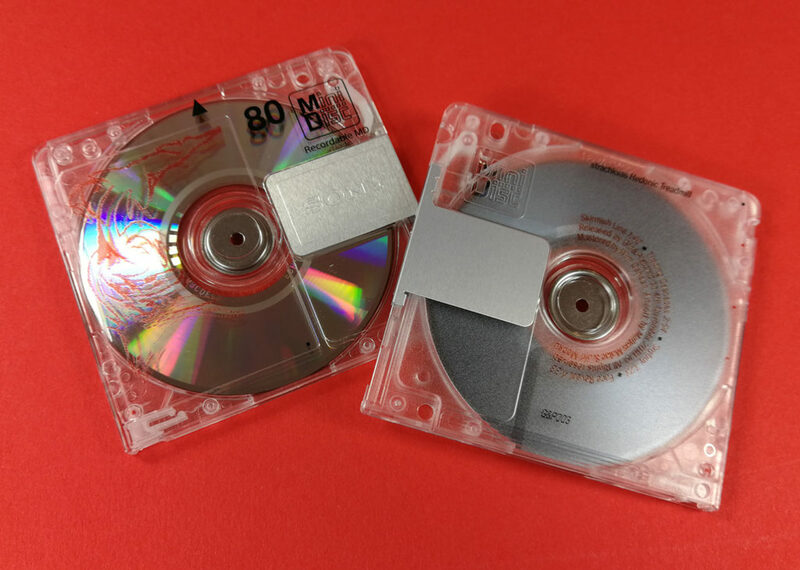 We use brand new Sony 80 minute MDW80T MiniDiscs from their latest batch manufactured in 2015, the last MiniDiscs manufactured to date. 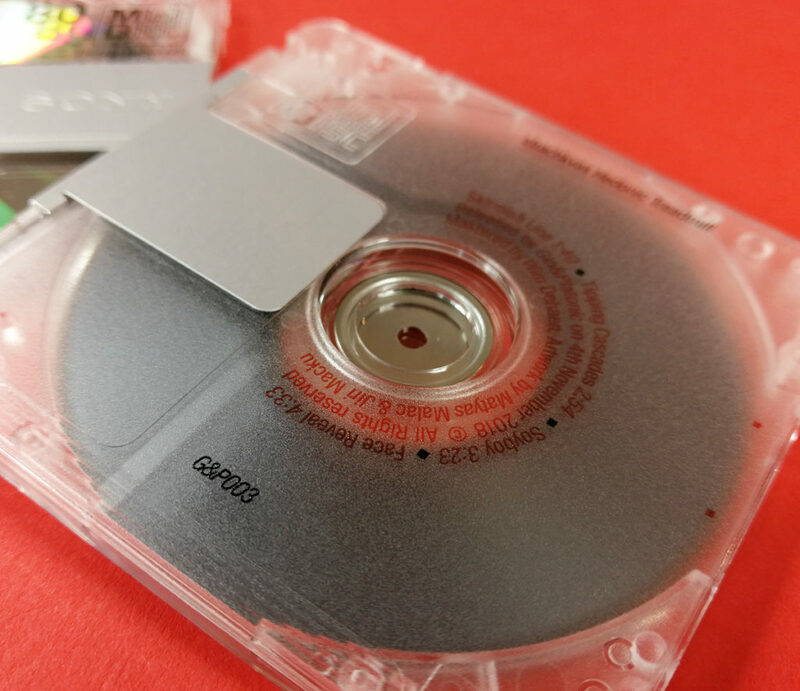 The discs themselves are clear at the front and lightly frosted clear on the rear, with a little black text and logo on the front and ‘SONY’ debossed into the metal protective disc cover. 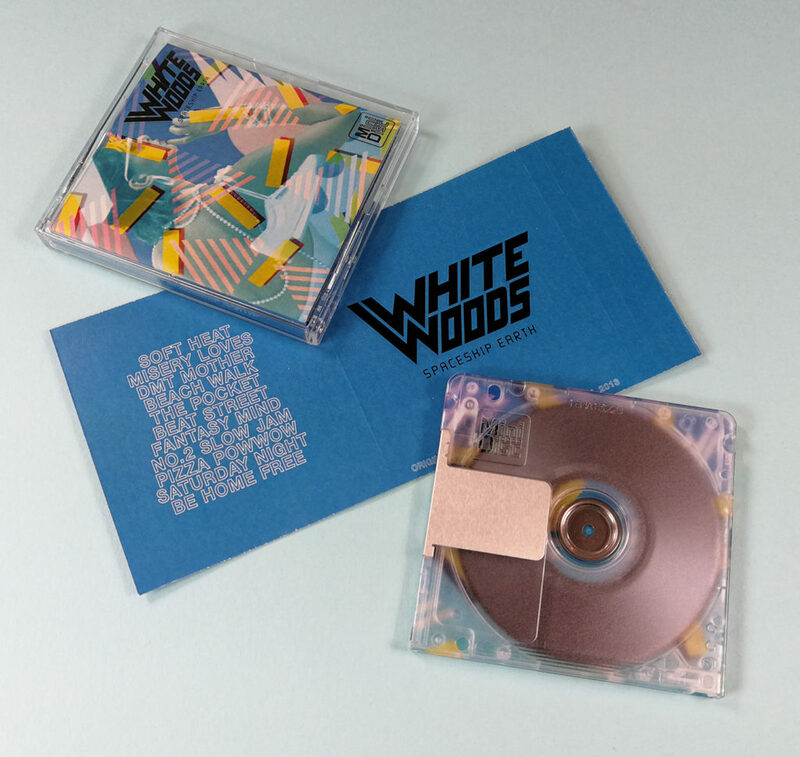 We can print entirely over the front of the discs, leaving you with a blank white or black canvas (depending on our base layer colour) onto which your artwork can be printed, as you can see in our gallery above. 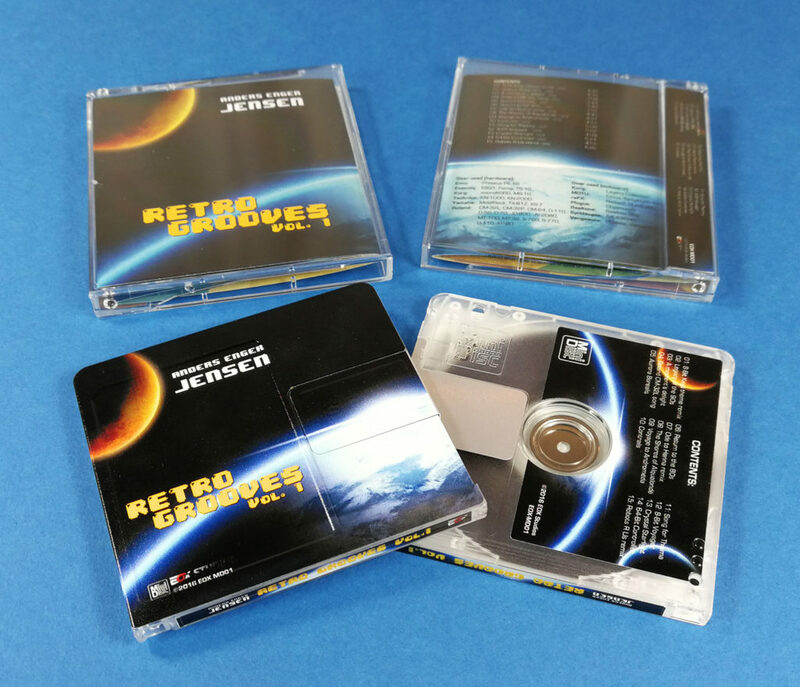 If you require additional panels for your MiniDisc J-card inserts, then you can add up to two additional fold-out pages in the templates below. 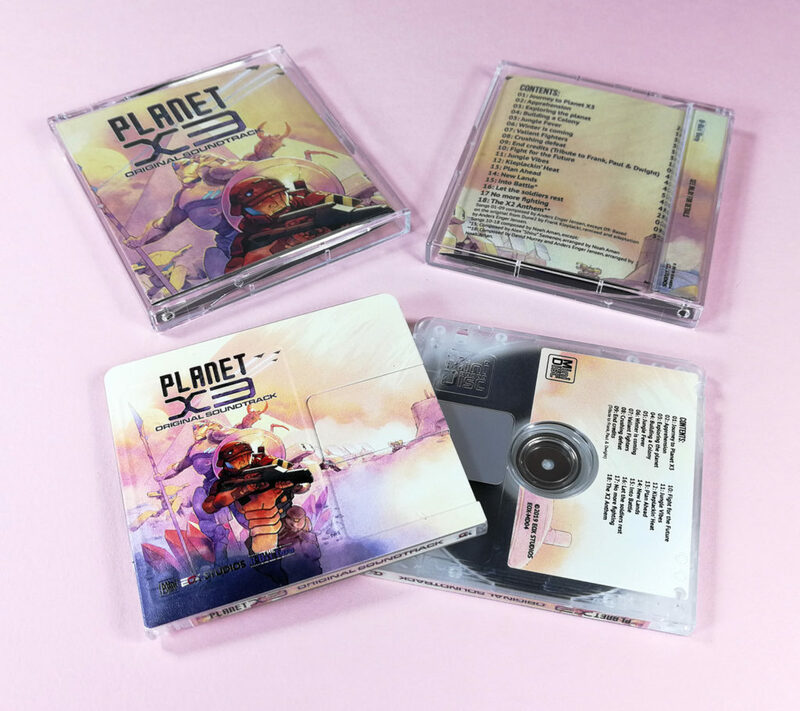 Each page is printed full colour on both sides, so for example two pages actually give four sides of additional artwork content and each additional double-sided page/panel costs an additional £0.12+VAT per MiniDisc (so a two additional fold-out panels would add £0.24+VAT per MiniDisc). 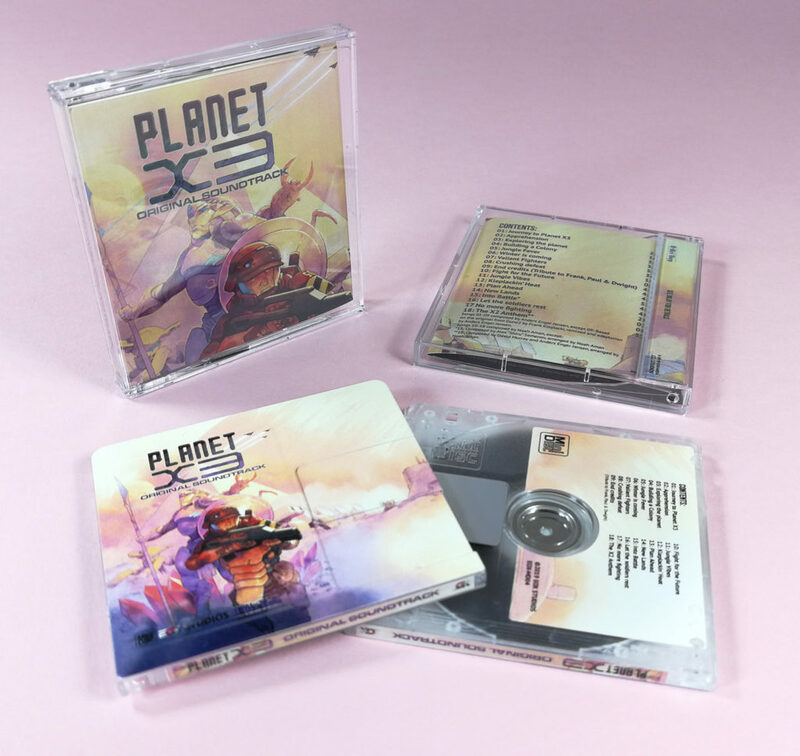 In the artwork templates below, just fill in the additional panels of artwork that you require and leave any others blank that aren’t required (please always fill in +1 as the first extra panel, then +2 if required). 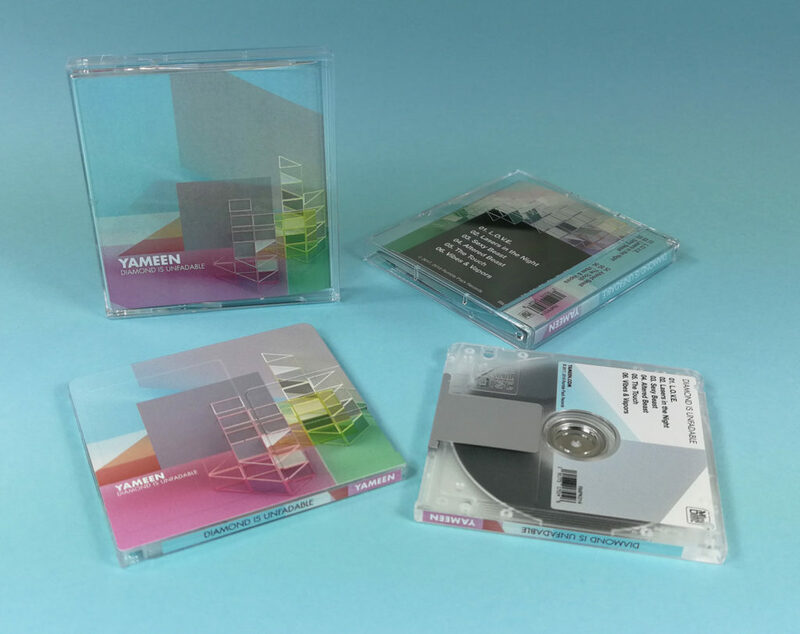 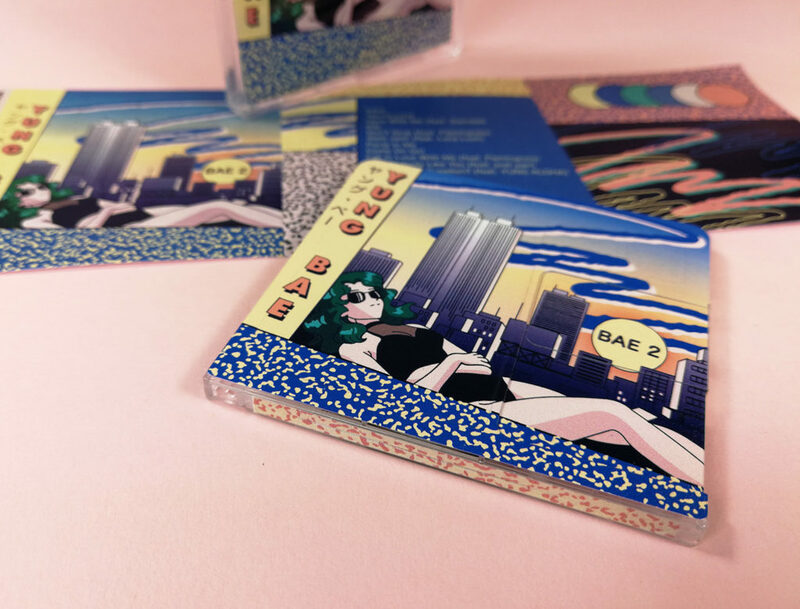 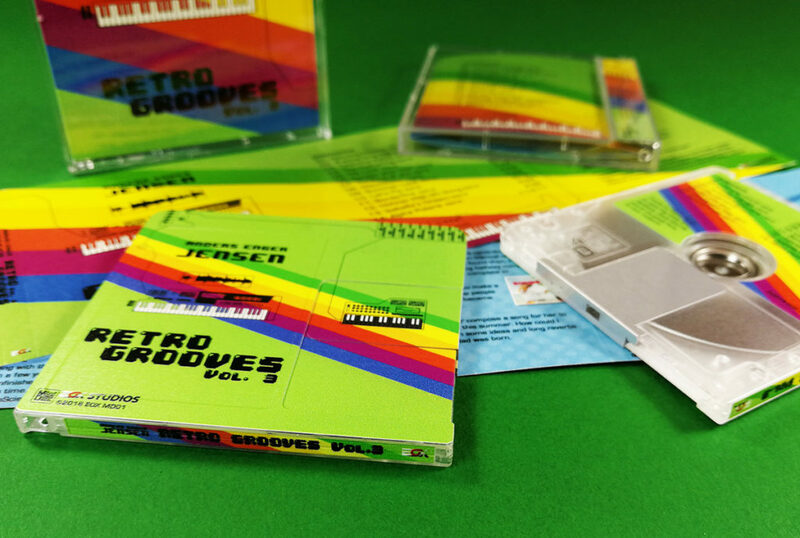 We print on the tops of the MiniDiscs using a full colour on-body print in the standard label area as standard. 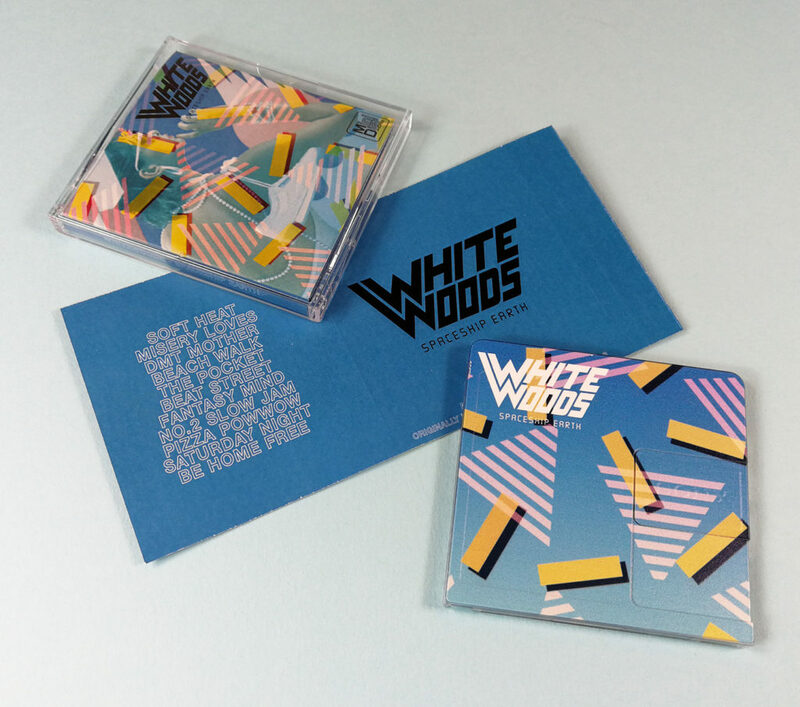 We can also print using white and spot gloss inks if you wish, these should be supplied as separate files or layers in the Photoshop document using a solid black and clearly state if they should be printed as white or spot gloss. 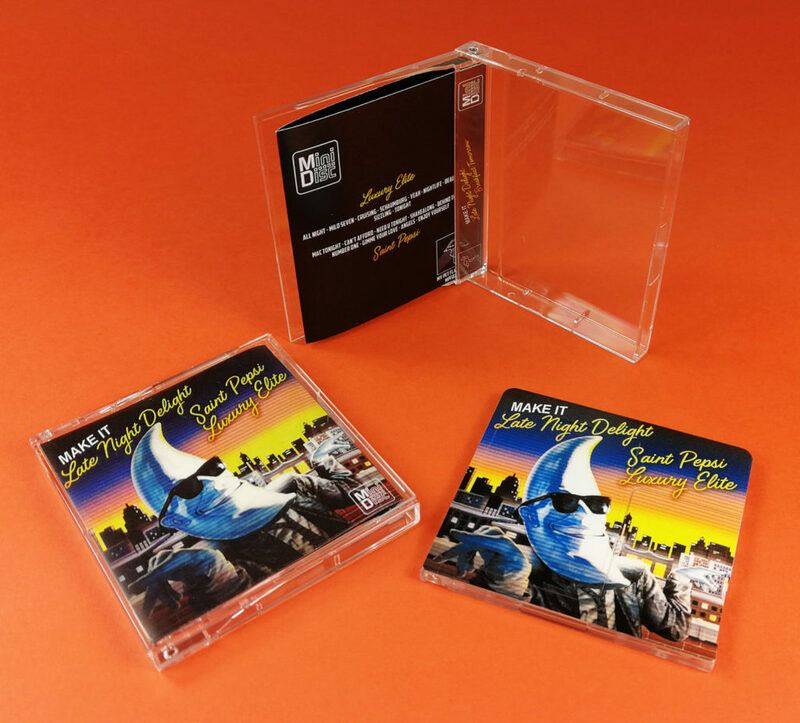 If you would like either a full coverage top print (including the metal sliding cover) or the rear or spine printed then please also complete those print areas in the downloadable Photoshop PDF template below.